As a follow up to yesterday’s post on US providers, I thought that I would take a look at the Canadian landscape as well. 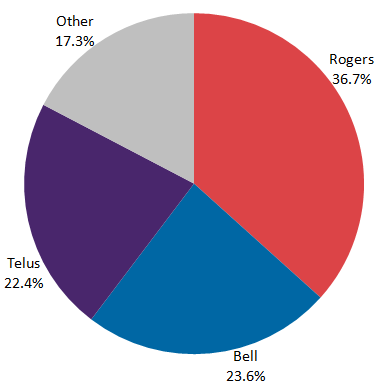 Canada has many more small providers with SaskTel, Fido, Virgin, Wind, and MTS all around 3% each. The data for this chart comes from downloads of the free strategy game Pixelated in the month of January.